The Veterans Consortium has selected Leo Dombrowski as its Pro Bono Attorney of the Month. The Veterans Consortium a Washington DC-based non-profit that connects attorneys with veterans appealing the denial of VA benefits to the U.S. Court of Appeals for Veterans Claims. Leo has been involved with The Veterans Consortium for 20 years. 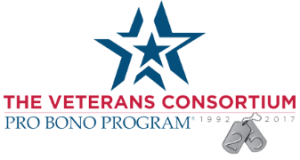 Click here for more information on The Veterans Consortium.